Andrea is responsible for all aspects of running Premier Family Dental including filing insurance, financial coordination, and treatment coordination. She's been in the dental field for over 10 years, spending all of that time with her husband, Dr. Cofer. She has a Bachelor's of Business Administration from Texas A&M University. 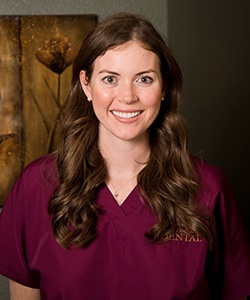 She enjoys working with all of our nice patients and using her knowledge of finance and dentistry to help patients accomplish their goals, allowing her to walk them through the entire process from the first visit to completion. She enjoys spending time with her three children, Zumba, boating, biking, skiing, and just generally hanging out at the lake. Jessica joined Premier Family Dental in August of 2012. Originally from South Carolina, she moved to Waco in 2012 with her husband. 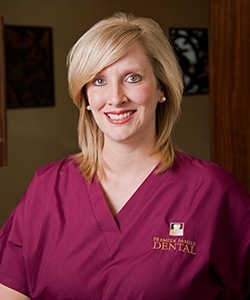 Her primary role at Premier Family Dental is Office Coordinator, and she is also a Registered Dental Assistant. When she’s not helping our patients in the front office, she is assisting Dr. Cofer. Jessica is responsible for scheduling appointments, answering insurance questions, reviewing treatment plans with patients, and more. She genuinely enjoys meeting and talking with our patients, always sharing a friendly smile. Her outgoing and fun-loving personality makes her a valuable asset to our practice. Jessica and her husband have been married for seven years and they have one daughter. She enjoys sewing, traveling, cooking, and – most of all – spending quality time with her family. Erica graduated from Coastal Bend College in 2002 with an Associates Degree in Dental Hygiene. She is experienced in working with patients of all ages and periodontal conditions. She is certified in CPR, Pit and Fissure Sealants, and is up to date on her Continuing Education requirements with the latest knowledge and comprehensive skills. Erica ensures to give each patient the highest quality care in a relaxing environment. Her hobbies include swimming, snow skiing, Texas Ranger baseball games, and vacationing with her husband and 2 boys. Jana started her dental career in 1998 through the TSTC Dental Assisting program and continued as a dental assistant until 2003. 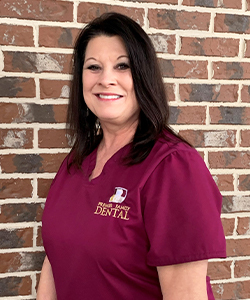 It was then that she began the pursuit of her current career via the dental hygiene program at Wharton County Junior College, where she graduated in 2005 with an Associate’s Degree in Dental Hygiene. Jana keeps up with the latest technology and patient care techniques and has current CPR certification as well as certification in nitrous oxide monitoring. Jana enjoys swimming, water skiing, and outdoor sports with her husband and their two kids. 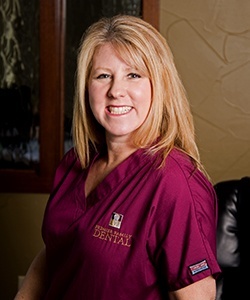 With more than 30 years of experience in the dental field, Penny joined our practice in 2006. She enjoys working one on one with patients to maximize dental insurance coverage, and getting to know patients and making them feel like family. Originally from Corsicana, TX, Penny loves spending time with her daughter, Casey, son-in-law, James, and grandchildren, Ava and Emmett. When she’s not busy with her family, Penny enjoys bird watching, cooking, yard work, University of Texas football, and outdoor activities like hunting and fishing. Dana has been working in the dental field for nearly 20 years so far. She attended Texas State Technical College in Waco and is a certified Registered Dental Assistant. Her favorite part of working for Dr. Cofer is being able to help patients improve achieve the oral health and happiness they deserve. Seeing them smile as they are leaving is always a wonderful feeling! Originally from San Saba, Dana now lives in Robinson. She and her husband Chad have two daughters. In her free time, she enjoys watching her girls play lots of sports (including softball, basketball, and volleyball) and cheering on the Rangers and Astros too. 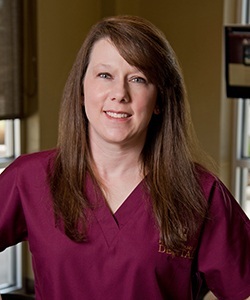 Ashley has been a member of our team for a decade and counting, with 15 overall years of experience in dentistry. Originally from Whitney, she loves the environment of the practice and working with people that feel like family! She has been married for nine years and has two little girls. 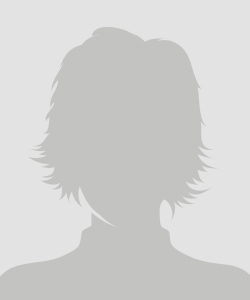 Her hobbies include working with youth sports teams, fishing, hunting, and being outdoors. You can look forward to hearing her country quotes and country slang when you visit. Although Elizabeth is a new member of our team, she’s actually been working in the dental field for a decade so far! She has studied at Temple University, McLennan Community College, and Texas State Technical College for her education. She is also certified in nitrous oxide. What she enjoys most about her position is getting to see firsthand the confidence patients gain in their new, improved smiles. Outside of work, has a fiancé named Jon (they’re due to be married in June of 2019) and a daughter named Rileigh. Her hobbies include watching Rileigh play sports, going bike riding on the trails, grilling outdoors, crafting, and spending quality time as a family. Emily has worked as both a dental assistant and a dental hygienist, and she first came to our practice two years ago. She has her Associates in Dental Hygiene and is also trained in CPR, nitrous oxide monitoring, and pit and fissure sealants. She loves getting to know her patients and helping them maintain a healthy smile! Originally from Groesbeck, Emily and her husband have two dogs named Kenzi and Callie. Outside of the office, she enjoys spending time in church, vacationing, being at the lake, watching sports, and playing golf. Melanie has been working in the dental field for over 10 years, first joining Premier Family Dental in 2017. She enjoys many things about her work, but none more than the opportunity of getting to know each patient and looking forward to seeing them on a regular basis. Originally from Waco, Melanie and her husband moved away from the area in 1993 and only recently returned. They have been married for over 25 years and have two wonderful children. In her spare time, she enjoys traveling with her husband on their motorcycle, cooking out, and spending quality time with family and friends. Brittany’s been working in dentistry for a few years now, and her favorite part of the job is easy – the patients! Getting to know them well over time is extremely enjoyable to her. Originally from Idaho Falls, she has a daughter named Chloe. When she isn’t busy at work, she spends her free time being outdoors, watching Chloe play sports, listening to live music, and visiting new places. Something interesting about her: she’s from a family of seven, and all of them have red hair!